The Deck on The Moshulu will open on May 17, 2017. Renovated decks on The Moshulu offer a new outdoor space for dining, drinking and events this summer. The space, named The Deck, will open for the season on Wednesday, May 17. 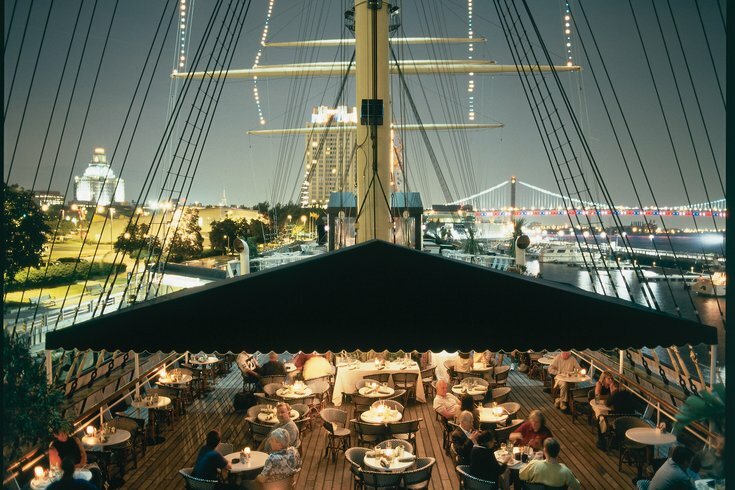 Docked at Penn’s Landing, The Moshulu offers views of the river, the city skyline and the Ben Franklin Bridge. 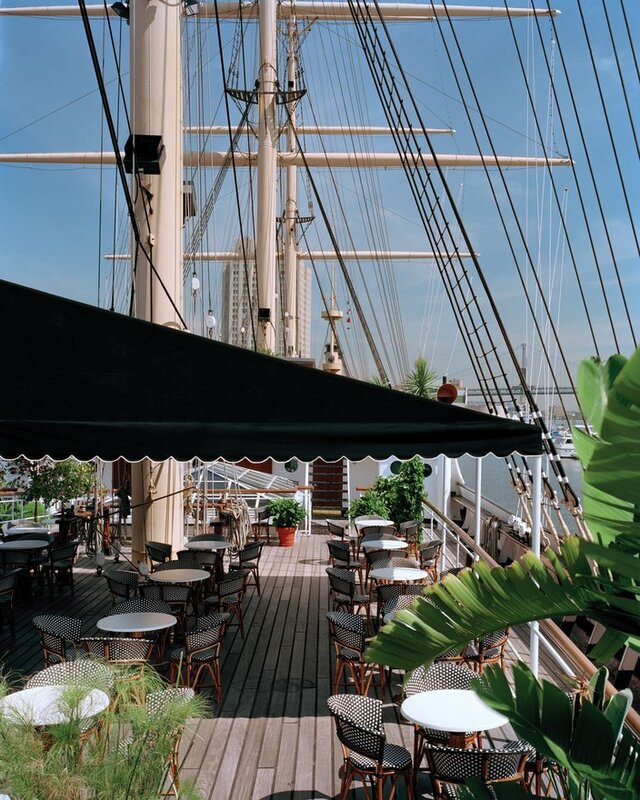 Guests on the tall ship can lounge on The Deck for brunch, evening cocktails and everything in-between. To drink, there will be beer, wine, spirits and a selection of specialty drinks. One cocktail is named You Old Sailor and features rum, cinnamon and grapefruit. Alcohol-infused ice pops are another specialty. Flavors include sparkling white wine, sparkling rosé, St. Germaine with pineapple and passion fruit. Happy hour will be Mondays through Fridays from 5-7 p.m. The Deck at The Moshulu will offer dining, drinking, dancing and more. The food menu, created by executive chef Anthony Bonett, highlights sharable plates. There will be hand-rolled sushi, poke bowls and burgers. Brunch, dinner and light bites will be offered. For dessert, in-house pastry chef Sandy Valentine created signature sweets. Try the Tasty Shake (Bassetts Ice Cream, Goldenberg’s Peanut Chews, Tastykake Kandy Kakes, soft pretzels, whipped cream and chocolate sauce) or the Wild Thang (strawberry ice cream, vanilla orange cake, strawberry Kit Kats, pink caramel angel hair cake and vanilla whipped cream). The Deck will be open Mondays through Fridays from 3-10 p.m, on Saturdays from noon to 11 p.m. and on Sundays from 10 a.m. to 2:30 p.m. for brunch and 3-11 p.m. afterward. As a bonus, on Sundays there will be yoga on The Deck from 10:30-11:30 a.m. Other activities and special events will be popping up at the space soon, too. "The entertainment schedule at The Deck is filled with events from workout sessions to cigar events, specialty themed parties and fashion events. We have created a location that offers something for everyone," The Deck's general manager Jake Wade stated.